What a difference a year makes. 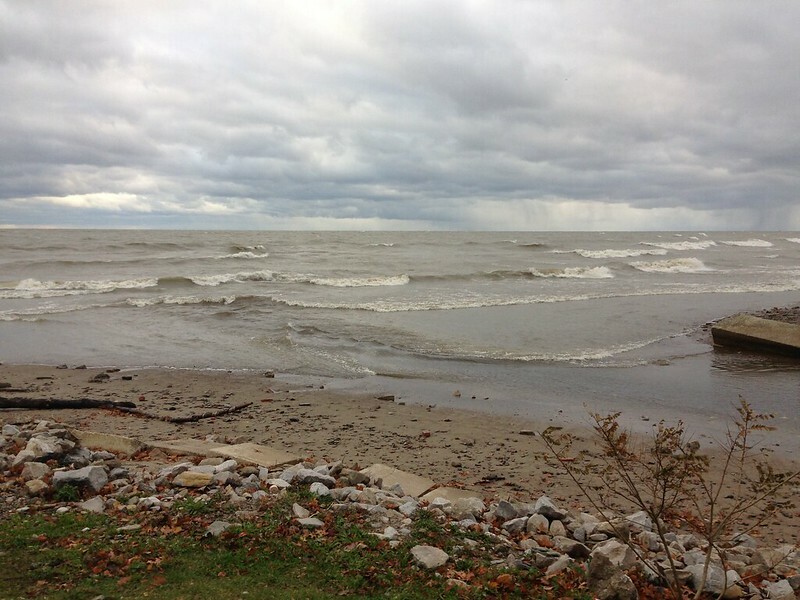 In 2017 Count Day was noted as being “frigid”, but in 2018 Saturday, December 29 the day was relatively mild with temperatures in the mid to lower 30’s, overcast skies and almost no wind. No snow was on the ground and precipitation was hardly noticeable. 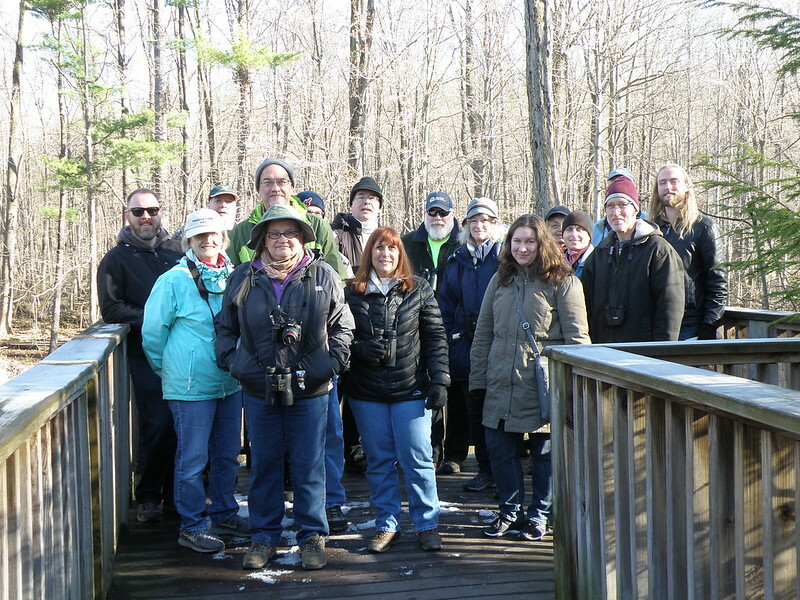 WCAS held a third conservation project laboratory on January 5, 2018 at Bethany Presbyterian Church in Cleveland. 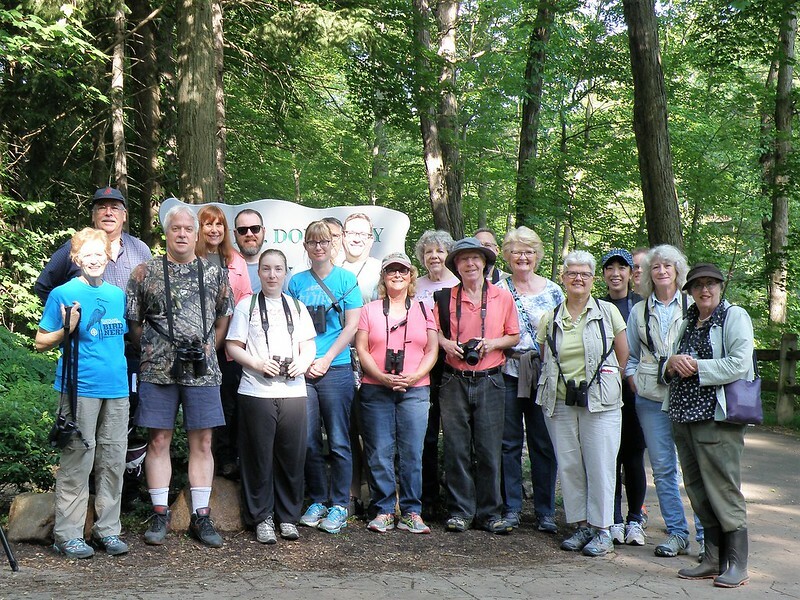 Fifteen people attended this event. Kurt Miske opened the meeting and Tom Romito facilitated the event. 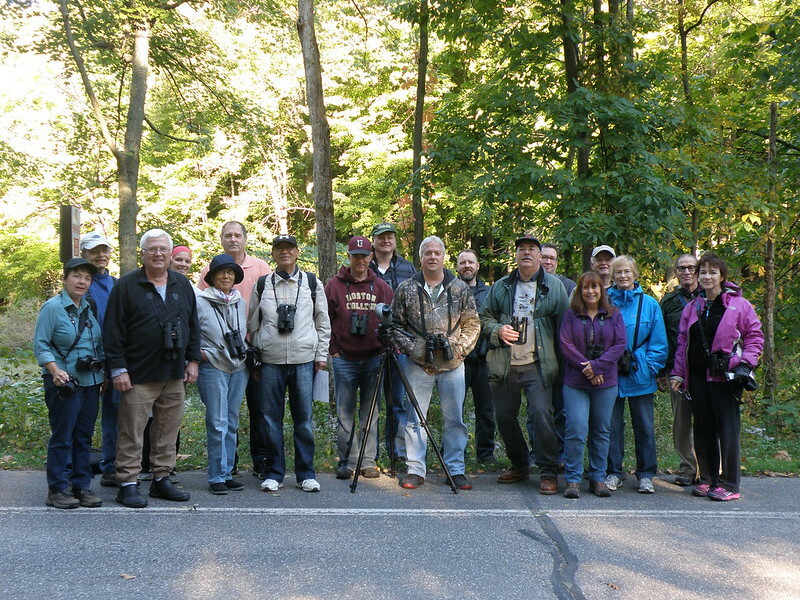 Most of the birders would say our best bird of the day was an immature Barred Owl. It was on a tree branch about 15 feet high and five feet from the trail. 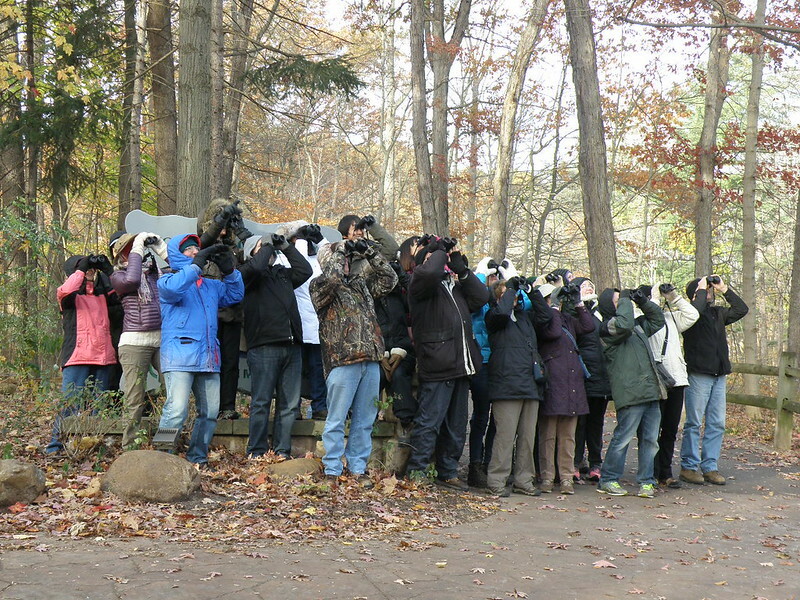 Everyone had unobstructed views of the owlet. Down the trail we then saw one of the parent Barred owls hanging around watching out for the owlet. 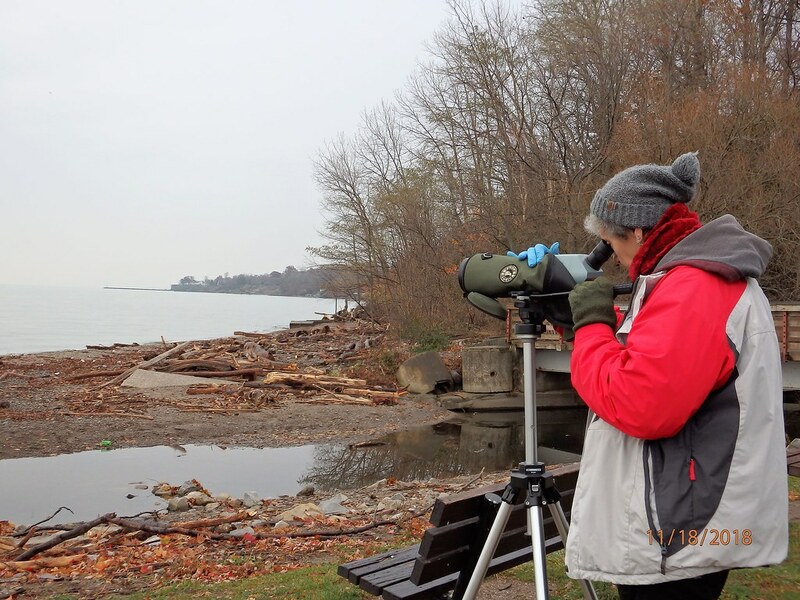 It was a great day for birding. 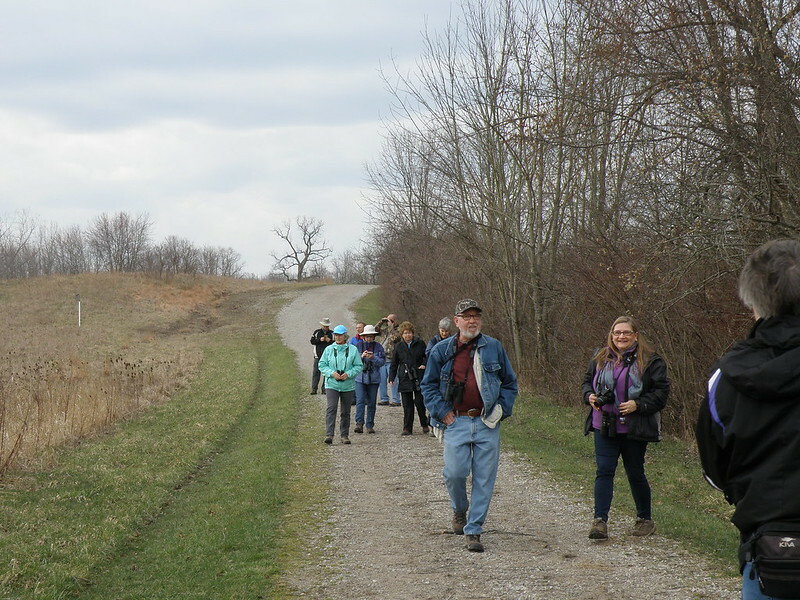 Many species, many great views, many birds singing. 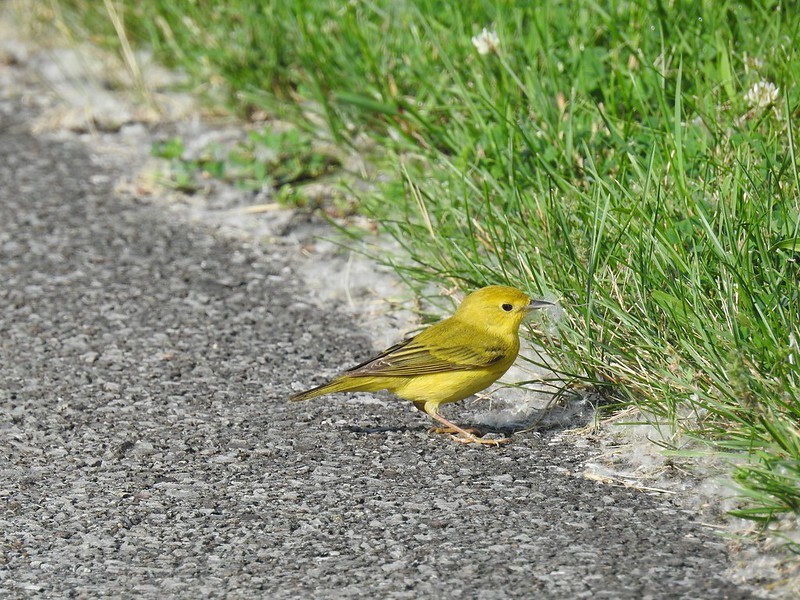 An Acadian Flycatcher and a Cedar Waxwing on their nests plus singing Veeries highlighted this perfect June day. A slightly downy juvenile Barred Owl was another great find. 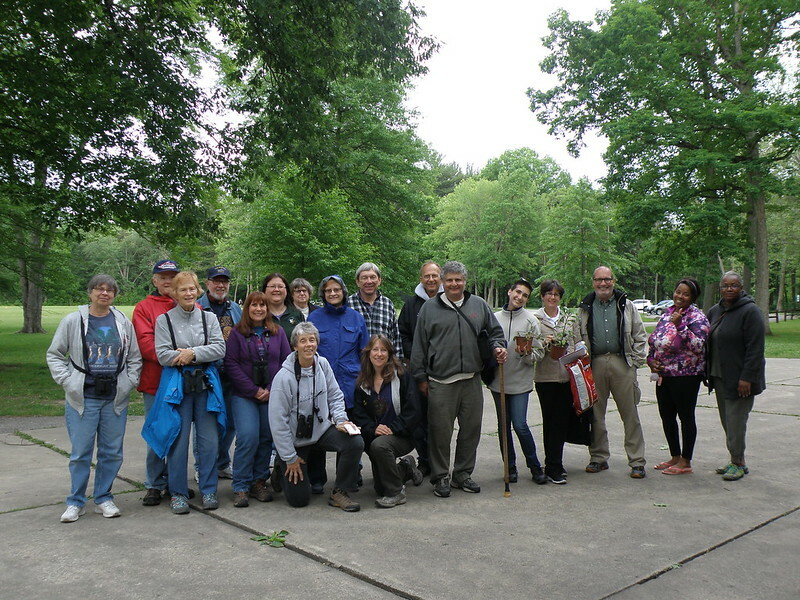 Migration brought sparrows, swallows, three Brown Creepers and a Louisiana Waterthrush. Snowy early-spring gave way to warm late spring in the course of the morning. 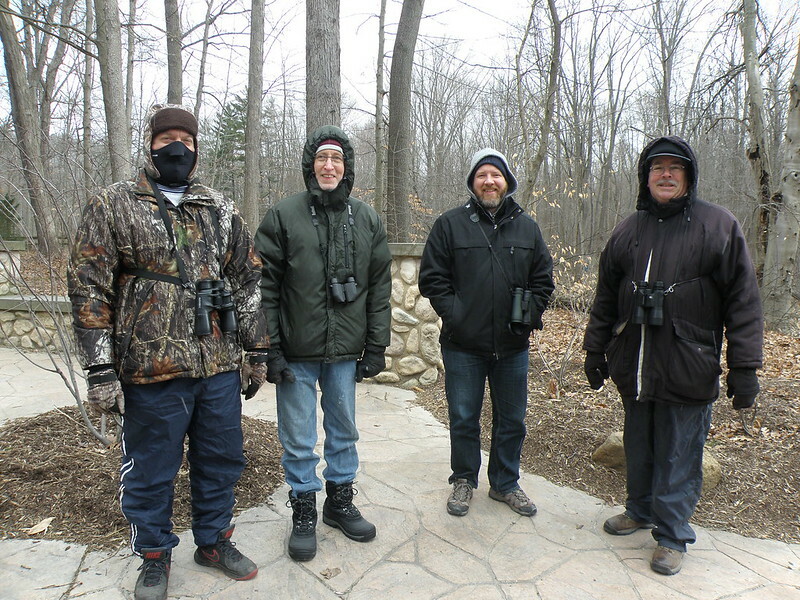 A Pileated Woodpecker was just what one birder needed for his Ohio list on this 20-degree morning. 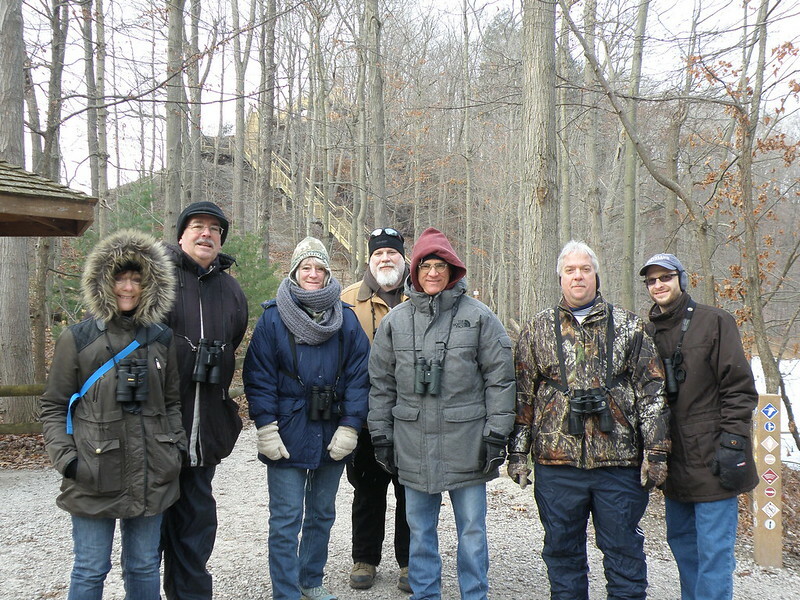 The Brown Creeper was another nice addition for the seven who made the walk. 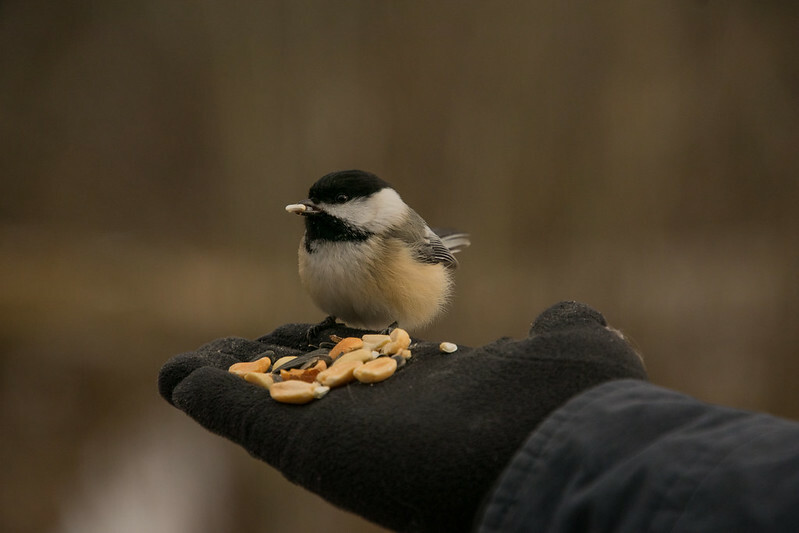 American Tree Sparrows were numerous, as they had been in January and February 2017. 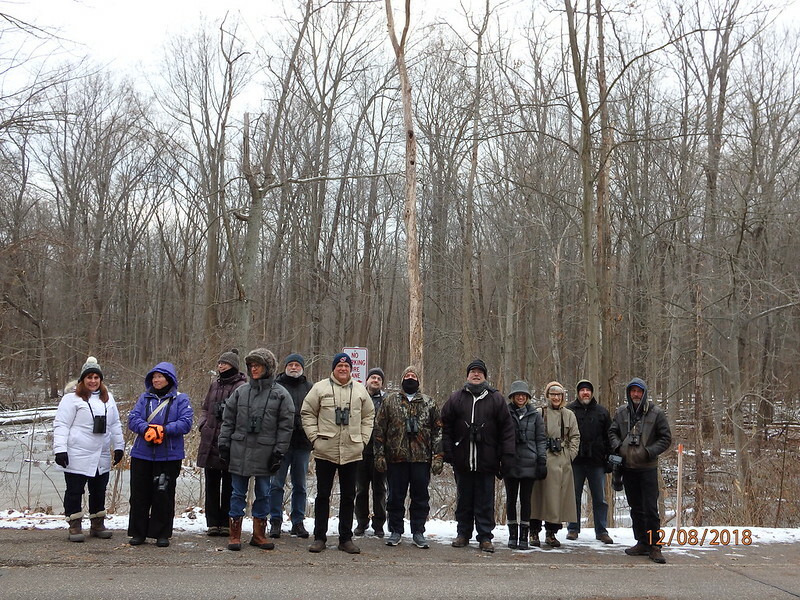 Carolina Wren, Northern Cardinals and Song Sparrows were singing, to name a few. 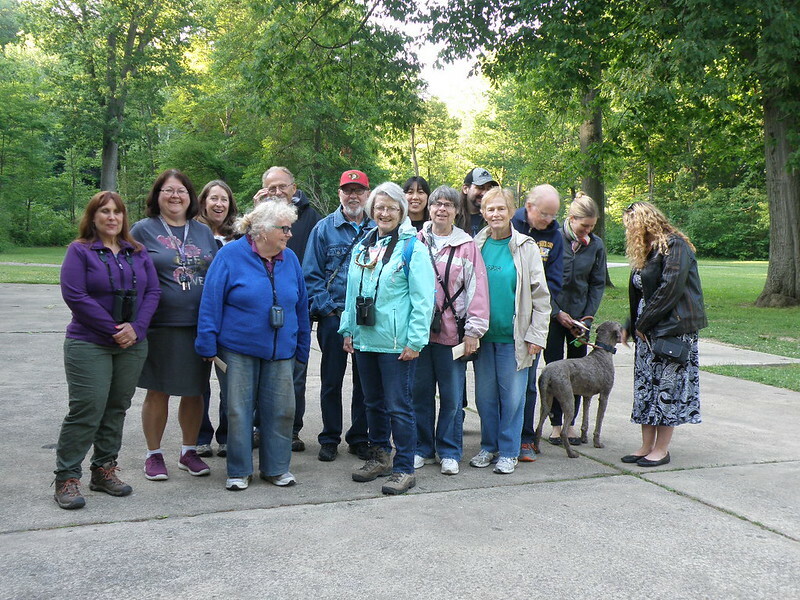 A highlight of the walk was the sighting of ten Eastern Bluebirds, first spotted by birder Brent. American Tree Sparrows continued in good numbers as seen on the January walk. 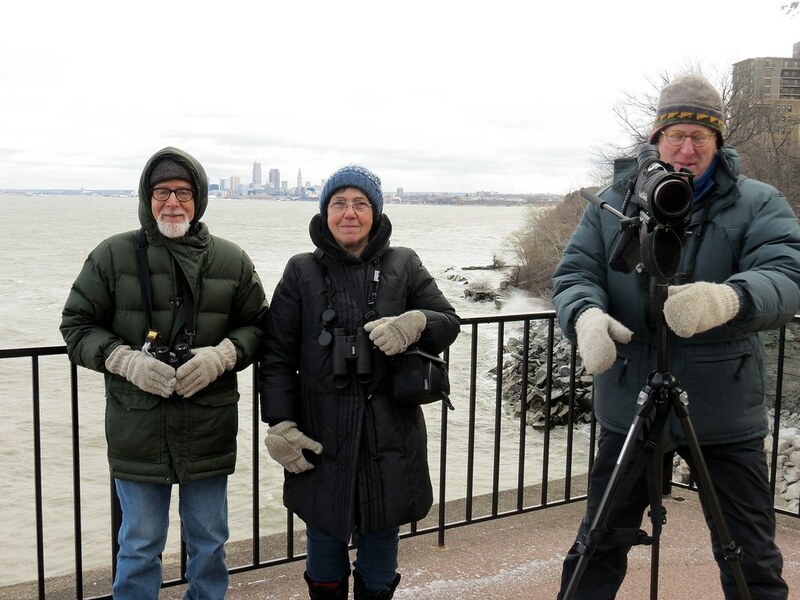 The 2016 Lakewood Circle (west side of Cleveland) Christmas Bird Count did remarkably well in locating a good variety of bird species. 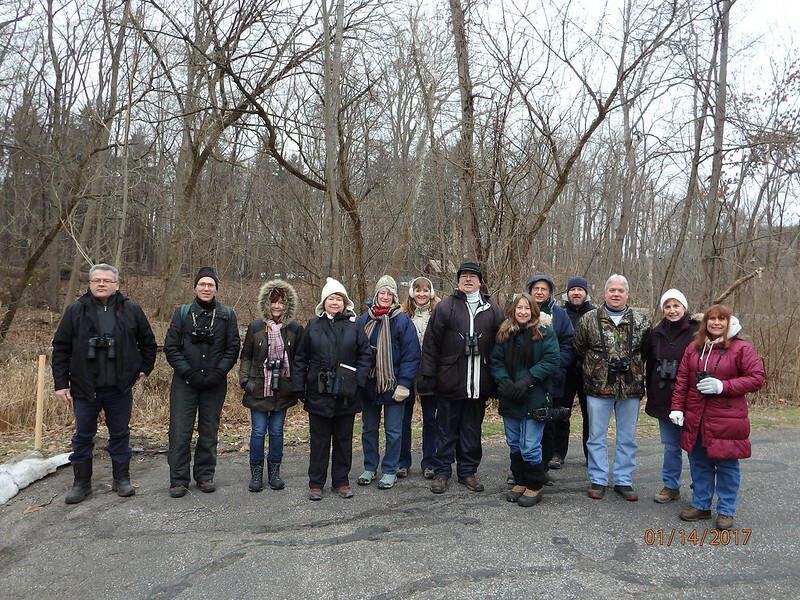 Despite many participants stating that they didn’t “do well” on their count route, 80 species were sighted overall, which is one of the highest if not the highest number of species for the Lakewood Circle. 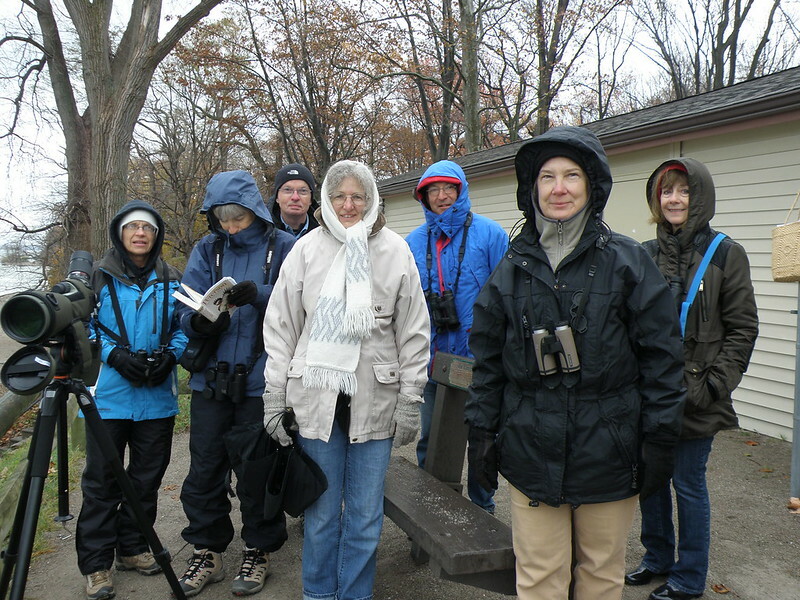 Twenty-one birders came out to see winter resident birds, including Black-capped Chickadees taking seeds from outstretched hands. American Tree Sparrows abounded. Winter is here, ice on the ponds, temperatures in the 20’s on a sunny, breezy day. 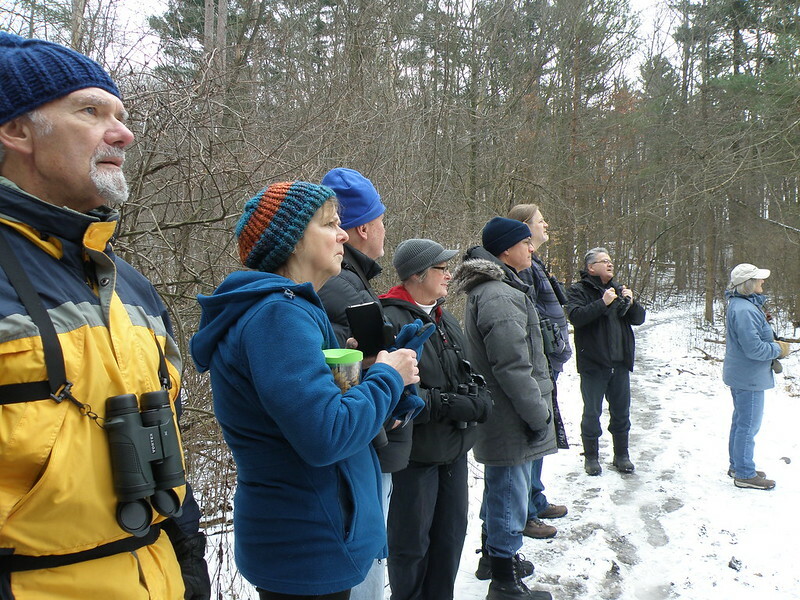 Leader Ken Gober observed 40 American Tree Sparrows on the way in, adding to two observed by the group of 13 hardy birders. Wind and wave action made it hard to hear birds, but Red-breasted Mergansers were easy to see flying west low over the lake. Loons, grebes and goldeneye fished close to shore.